So, the moment has arrived. A financial aid award letter has arrived in your mailbox! Ripping it open, perhaps you find columns of numbers or financial aid jargon that only makes your head spin. Grants, loans, scholarships, work-study… How do you make sense of it? To add to the confusion, maybe you’re fortunate enough to receive more than one offer from other colleges. How do you compare financial aid packages? Before explaining the different forms of aid that might be in your letter, there’s a simple tool you can use to compare aid packages. Click here The College Board maintains this website to assist students and parents in doing clear comparisons. Below is a brief overview on types of aid. 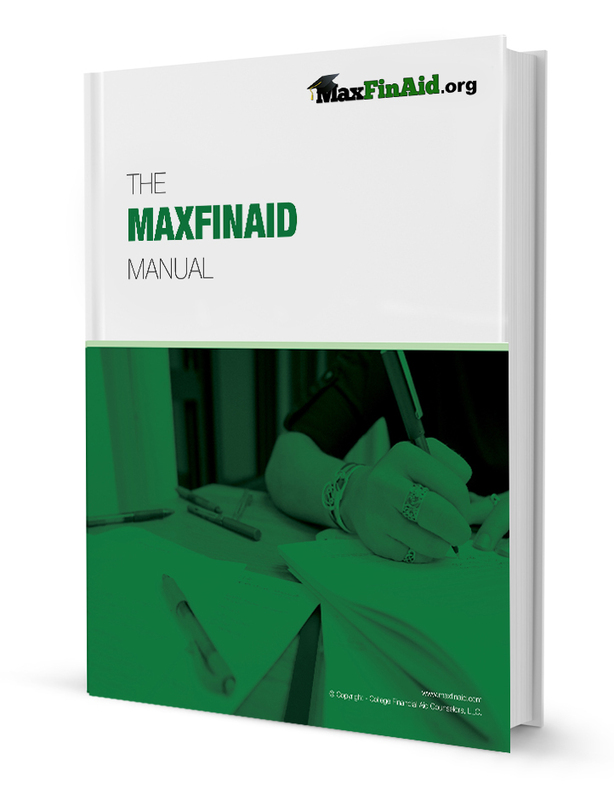 For more a complete explanation, download the free MaxFinAid manual. Click here. The Federal Pell Grant: This grant is administered and awarded by the federal government and given out on the basis of financial need. Award amounts vary, but can be up to $5,550 per year. The amount of the award cannot be changed by the college, but is set by the federal government. The Federal Supplemental Educational Opportunity Grant (SEOG): This too is a grant from the federal government, but is controlled by the college. Colleges receive a yearly sum to give out at their discretion. Because of this, funds are limited, but the amount can be up to $4,000 per year. Grants/Scholarships from the College Themselves: Colleges can also give scholarships or grants (terms are interchangeable) that bridge the gap in financial aid. These types of aids should never be rejected. This is free money that does not need to be repaid and is often tax-free. Federal Work-Study: This is one of the more confusing types of financial aid. There are several reasons why it is a good idea to accept this grant. Click here to learn more about it. Loans: Loans come in two forms typically: subsidized and unsubsidized. Subsidized loans are need-based loans where the interest is paid by the federal government while the student is in school full-time. Unsubsidized loans are not need-based, and interest accrues on the loan from the moment it is given out. As with any loan, be sure you fully understand the terms and conditions of it. College Loans: Some colleges will offer an in-house loan, or a payment system that is spread-out over the academic semester. These types of aids vary and can be anything from a great deal to downright seedy. Be sure to read the fine print on these types of aid as well. Once you understand the types of aid in your award letter, and compared between colleges, you’ll be able to make an informed decision.